Fostering solidarity across borders to protect the shared rivers of Mesopotamia! Increasingly water resources are becoming a source of conflict in the region of Mesopotamia. Rivers have become strategic assets over which states and other actors wage war: water is being used for political purposes. 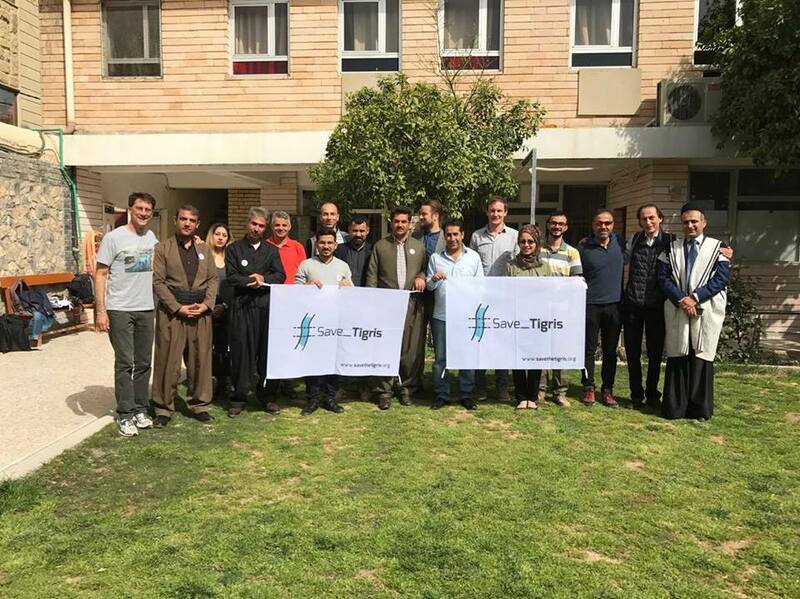 From its inception, Save the Tigris and Iraqi Marshes Campaign has joined with other Iraqi and international civil society groups concerned about megaprojects on the rivers of Mesopotamia. Our campaign provides a counter-narrative: the rivers of Mesopotamia can be a force for peace and cooperation among all countries in the Tigris-Euphrates basin, providing equitable shares of water for all those who live in the region and for the coming generations. With this vision, 18 water activists from Iraq, Turkey, Iran and Europe gathered from 7-9 April in Sulaymaniyah, Kurdistan Region of Iraq, to join forces and expand the reach of our campaign message. Privatisation of water and water transportation. To enforce our campaign message across the region of Mesopotamia, we announce a Regional Water Forum that will be held in April 2018 in the city of Sulaymaniyah, Kurdistan Region of Iraq with participants from Iraq, Iran, Turkey and Syria. This will be an important opportunity to forge a regional coalition for cooperation on water issues that includes all relevant actors: activists, civil society organizations, local communities, media, academics, researchers, and authorities. 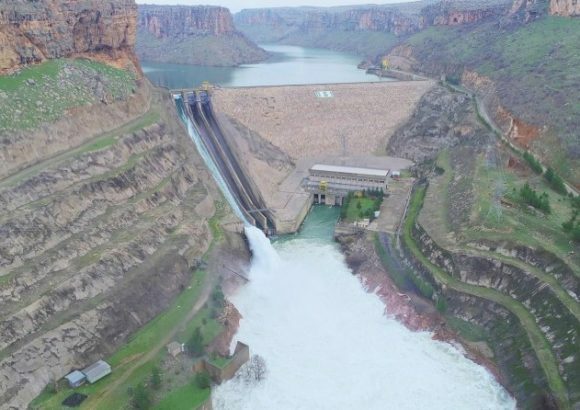 Most important are the ongoing construction of Ilisu Dam in Turkey, the Daryan Dam in Iran which recently started operating, and the diversion of water courses in Iran. We support in particular the efforts of “the Civil Campaign to support the Kind Zagros” to oppose the Ilisu Dam in Turkey and within Iran their opposition against continued dam construction and water transfer projects such as Kouhrang 3, Golab, Behesht Abad. 17 April (28 Farvardin in the Iranian Calendar) was proclaimed the Global Day of Opposition against Water Transfers in Iran. Save the Tigris Campaign calls on the states of Turkey, Iran, Syria and Iraq to respect international law and the 1997 international convention on the law of the non- navigational uses of international watercourses, specifically the principals of equitable and reasonable utilization and participation and the obligation not to cause significant harm (referred to in articles 5, 6 and 7 of the convention). We oppose diversion of waterthat change the nature of river basins, in particular in Iran. Instead of a source of rivalry, water could be force for peace, inspiring cooperation between all countries in the Tigris-Euphrates Basin. River management should include dialogue between countries, broad participation and decision-making involving local communities. Local mechanisms for water-sharing can act as an example to be expanded to a broader level. To spread awareness internationally on the cultural and environmental heritage of the Tigris basin, such as the Marshlands in Iraq , the town of Hasankeyf in Turkey and the spring of Khani Bil in Iran. Civil society demands that the Iraqi government, UNESCO and its affiliated organizations work actively, transparently and in a timely manner to protect cultural heritage sites in Iraq, especially the Iraqi Marshlands. In addition we call on the Dutch company Bresser to halt the relocation of the Zeynel Bey Tomb in Hasankeyf. Do not put our shared heritage at risk! In particular pollution has greatly affected the water courses in the region. The waters of Mesopotamia should remain swimmable, drinkable and fishable. Greater awareness, involvement of local communities and enforcement of environmental laws are essential. We oppose privatisation of water, which is a common good that should remain easily accessible to every living creature. Water cannot be commodified. Find the pictures of the strategy meeting on Facebook.